A new monthly subscription box service for METALHEADS is now open! called THE METALHEAD BOX! Join their newsletter here http://www.themetalheadbox.com to find out when the next subscription box will ship, and receive a FREE GIFT, courtesy of Dark Descent Records & Unspeakable Axe Records! 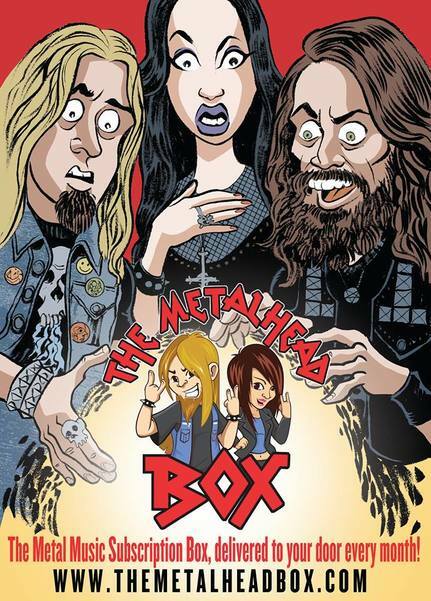 You've heard of Nerd Block, Loot Crate, Geek Fuel, Horror Block...well now there is THE METALHEAD BOX! A T-Shirt in every box!! Sign up now @ http://www.themetalheadbox.com for more information. They will begin taking subscriptions in September 2016 and you will be able to pre-order your very own box then! The Metalhead Box is now taking Pre-Subscriptions. What is The Metalhead Box? Its a Monthly Metal Music Subscription Box service for Metalheads! 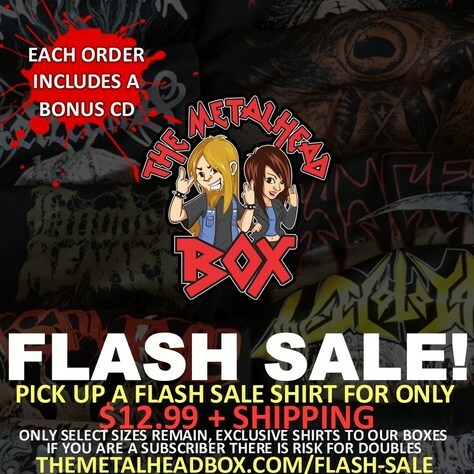 Check out the FullBlast!PR Spotlight interview with monthly Metal music subscription box service The Metalhead Box co-founder Robert ...find out more about their company, and what they have to offer! THE METALHEAD BOX are so excited, there are only 24 days until the November box will be shipping. Time is flying, and so are the limited amount of November boxes available. With only 25 of them left, you might want to get your hands on one before they are sold out. 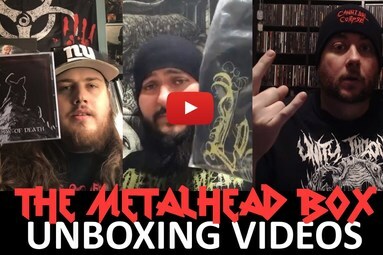 THE METALHEAD BOX subscription box for Metalheads, shipped out their November box earlier this month and here are some unboxing videos for you to check out. The December box is about to sell out already, so if you are interested, jump on it now. 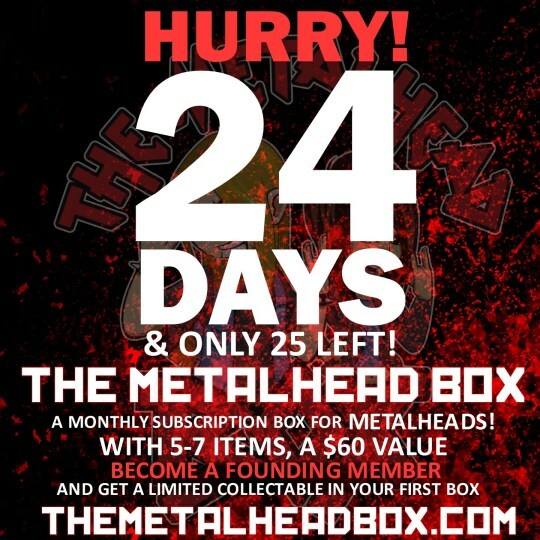 THE METALHEAD BOX now has 5 subscription options to choose from! Missed what was in the December box? Check out the awesome reviews right here! The Metalhead Box recently shipped out their January boxes! If you missed out sorry, but February boxes are right around the corner, and ship out Feb 15th!! Limited boxes are available! Did you see what was in their January boxes yet? CHECK OUT THESE COOL UNBOXING VIDEOS! 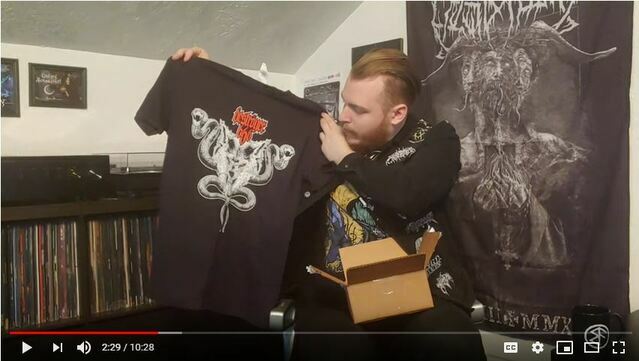 THE METALHEAD BOX subscription box for Metalheads, shipped out their March Decibel Magazine Tour themed box earlier this month and here are some unboxing videos for you to check out. The Metalhead Box also has Vinyl Boxes and a Mini Metalhead Box, so if you are interested, jump on it now. Hey Metalheads! Did you know there is a subscription service for Metalheads Only? Give their service a try! 3. They also offer a Buy as a gift option for the individual that wants to try them out but might not want to commit to a subscription yet. Their boxes also make great gift ideas for your Metalhead loved ones! Check out their website for more about their service! The Metalhead Box recently shipped out their January boxes! February boxes are already sold out, but March is right around the corner! 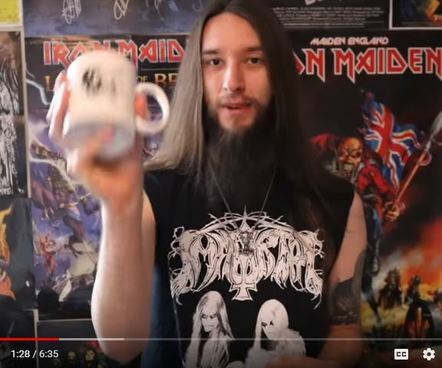 Check out some of the latest Metalhead Box unboxing videos! Did you see what was in their March boxes yet?